Editor’s note: You don’t have to read the Wall Street Journal to know that prices on your favorite Black Rifles have dropped like a lead balloon. With Christmas here that gun you’ve been thinking about buying is (by now) more affordable. It’s not just the AR 15 platform where bargains can be had. 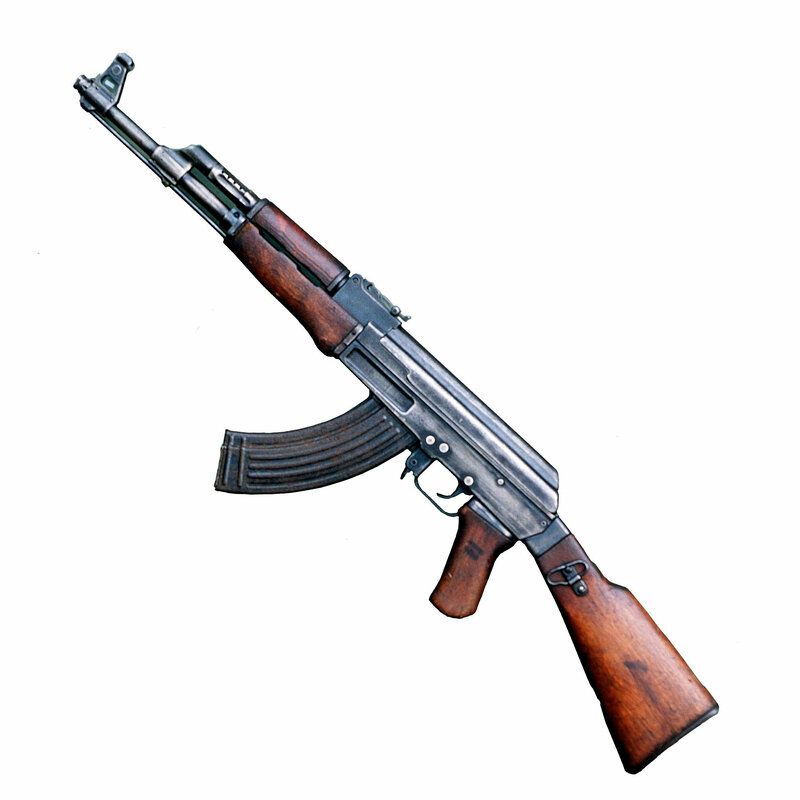 Many AKs have also seen price reductions. Here’s the second and final part of our exclusive interview with Chase Sisgold of Definitive Arms. Q: Let’s talk about barrel length. What are the standard lengths and what is the difference as far as utility goes? Shorter barrels between 7″ and 14.5″ are going to come in handy as a PDW or for operation in tightly confined spaces. Close quarters combat or getting in and out of vehicles quickly comes to mind. Perhaps the operator simply wants something that will fit in a small bag when folded up. Concealment is a huge factor for PDWs. Standard length rifles around 16″ are going to make up the majority of AKs one will encounter in America. These may range from home/property defensive rifles, competition rifles, or fighting rifles. A 16″ barrel is long enough to get good projectile velocity and deliver good stopping power down range with good accuracy. They are still fairly light and will maneuver well, allowing them to bridge the gap between all roles. The do-all rifle. 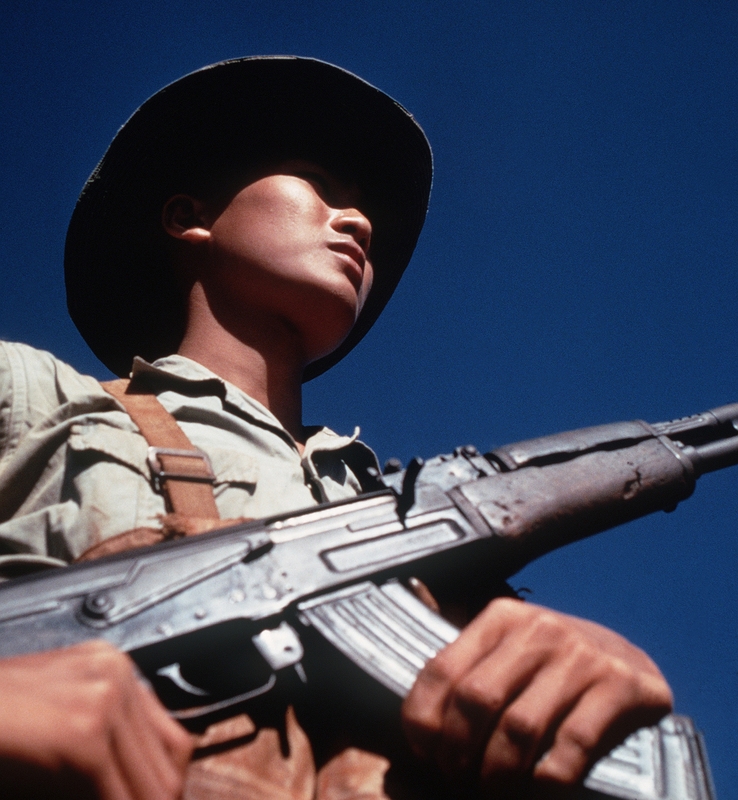 In short, the 16″ barreled AK will suit the needs of most. Extended barrels, like those found on the RPK or PSL, will usually be found on firearms that have a more dedicated role. A .308 VEPR or 7.62x54r PSL may be set up as a DMR or a battle rifle. 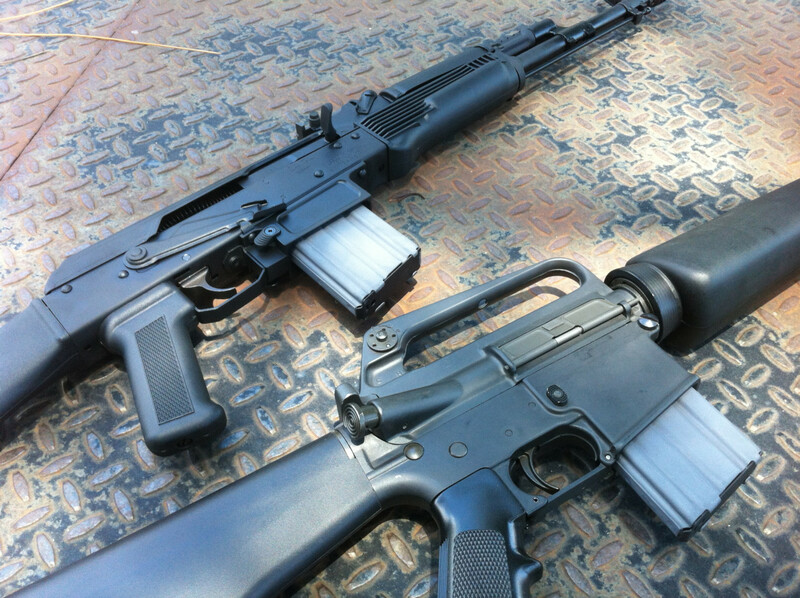 Either of which is more suitable for the job then say a 16″ 7.62×39 mm rifle. You may also encounter extended barrels on RPKs or other AKs that are set up for the role of a LMG or suppressive weapon. The additional length and weight of the barrel combined with the extended sight radius can make for a weapon that is better equipped at laying down suppressive fire. If you have ever gone prone while shooting an RPK from a fixed bipod you will immediately understand how it would be quite easy to get several rounds down range, accurately and, in a shorter amount of time then say a 16″ barreled AK with no bipod. However these rifles are generally heavier, less maneuverable shooting off hand and, not very good as a PDW or Defensive/fighting rifle while on the move. Q: Are chrome lined barrels more desirable? A: In general, yes. Hammer forged chrome lined barrels have been around for a long time. They are tough and very long lasting. Most people will be hard pressed to shoot enough ammunition through one to wear it out. Q: If you’re on a budget, what about buying used vs. new? A: AKs are one of those weapons that can be bought used with confidence. Any decently built AK will most likely outlive the next 2 generations. Of course you will still want to inspect the weapon closely or have someone who is knowledgeable look it over for you. I wouldn’t recommend buying a weapon that looks like it was purposely mistreated and may have a high round count on top of that. Q: What are the differences between milled or stamped receiver? Does it really matter? A: There is a large debate about stamped vs. milled receivers. This is something I generally will not debate with people because there is a lot of formal information about this and I tell everyone they can draw their own conclusion. Milled receivers can make a fine AK. 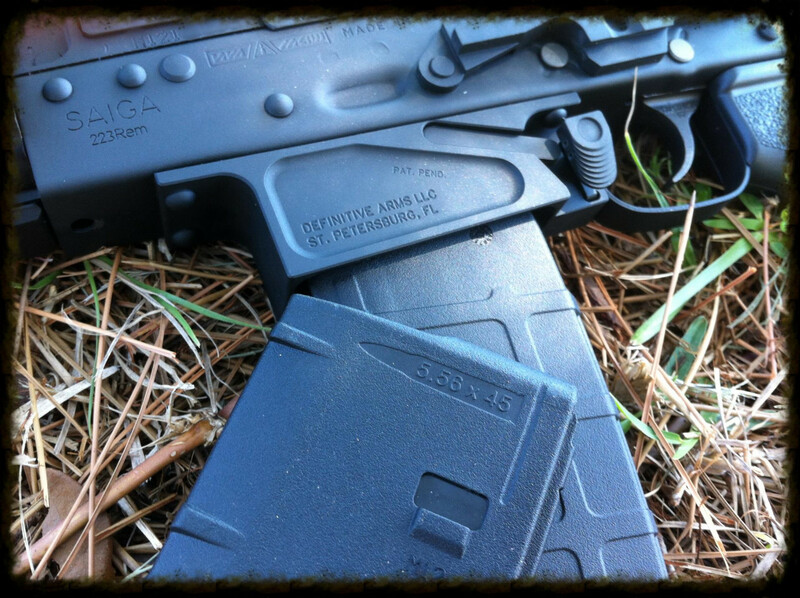 Stamped receivers can make a fine AK. I don’t favor one over the other. I will say that currently I own more stamped AKs then milled, but I believe that is in part due to cost and availability more then anything. Q: What about wood furniture vs. plastic? Is this purely a function of aesthetics? A: There is something beautiful about a classic all steel firearm encased with well finished wood. Some people like the look and feel of a wood clad firearm. From a manufacturing perspective, plastic can be more economical for production, but that is not always the case. A: Comfort and ergonomics are really a personal choice. Some may base their choices solely on cosmetics as well. I personally prefer a full furniture set on my 16″+ barreled weapons. Lately I have been utilizing the Rifle Dynamics M4 stock adapter on my full size AKs, for use with a variety of Magpul stocks. For Krinkovs or SBRs I love the look and feel of the classic triangle folders, though they may not be the most ergonomic choice. A: I love the AR and I love the AK, but anyone who has spent enough time shooting both will admit that the average AR is not as accurate as most will claim and the average AK is more accurate then most will claim. A lot of guys will constantly say that their rack grade AR is a sub MOA weapon, and this just isn’t the case. I think if most of these guys got their rifles out at 100+ yds they would find that their beloved AR does not in fact shoot 1/2″ groups like the sales guy told them. On the flip side of the coin, you hear a lot of guys say that the AK is not accurate, but many can consistently tag steel at 200, 300, 400yds or more with one. Any rifle capable of tagging a man sized target at 400yds is more then combat effective in terms of accuracy. Generally speaking an AR will be more accurate than an AK, but not by a terrible margin. The AK is plenty accurate for it’s intended purpose. Caliber is also a big factor. 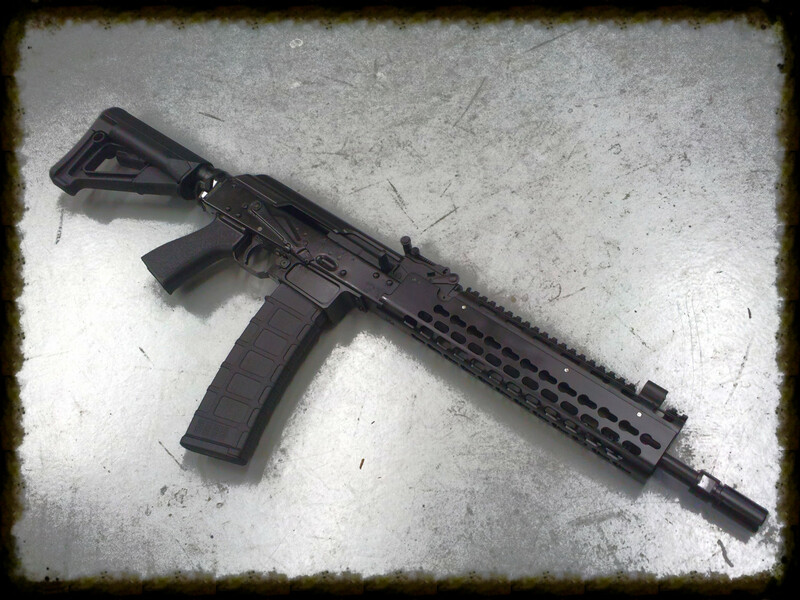 We put out 5.56 AKs that will shoot on par with most rack grade ARs. Q: If I want to customize a stock AK are they as easy to work on as ARs? A: ARs are definitely easier to work on. Almost everything for an AR can be done with simple hand tools. AKs do not have as many after market parts offerings and are more difficult to mount optics to with repeatable results. A lot of AK components will require smithing for installation, not just hand tools. In this sense, the AR is definitely easier to customize. However, there is nothing quite like a well built AK, and for that reason alone many will go through the effort or pay the money to have a custom AK built. However, there are enough drop in compatible AK parts that customizing an AK from home should not be terribly difficult. Q: Anything else you care to add that we missed? A: The only difference between an AK and most other weapons is that in 200 years the AK will still work. Great article Robert! What do you think of using some sort of aiming device like red dot sights on AK? I know iron sight would be the best bet but I think co-witnessing iron and red dot sight would be the best choice. What is the best red dot for AK in your opinion? Should we go for holographic?